mophius wrote: No, you just never realised you were making such mistakes when you were younger. NCC1966 wrote: Sunday is practically over. Around 6:20 pm here. 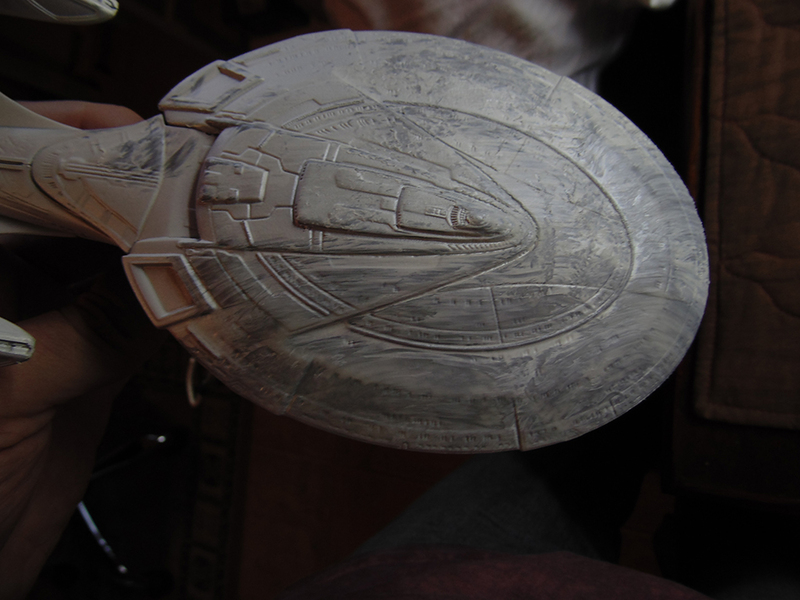 Inspired by a new Enterprise "E" thread and a bit bored after to apply a clear coat over my Reliant I decided that I could do something "quick" in my Ent E that is stand by for several weeks now. I had painted it with chrome silver and let it hanging in my drying closet till now. Actually I had decided that it wouldn't get nice with that color so today I looked at it and at the spare pearl white rattle can. So I looked outside. It rained today but it stopped. Then I think "Seems that there is still enough light outside for a quick coat". 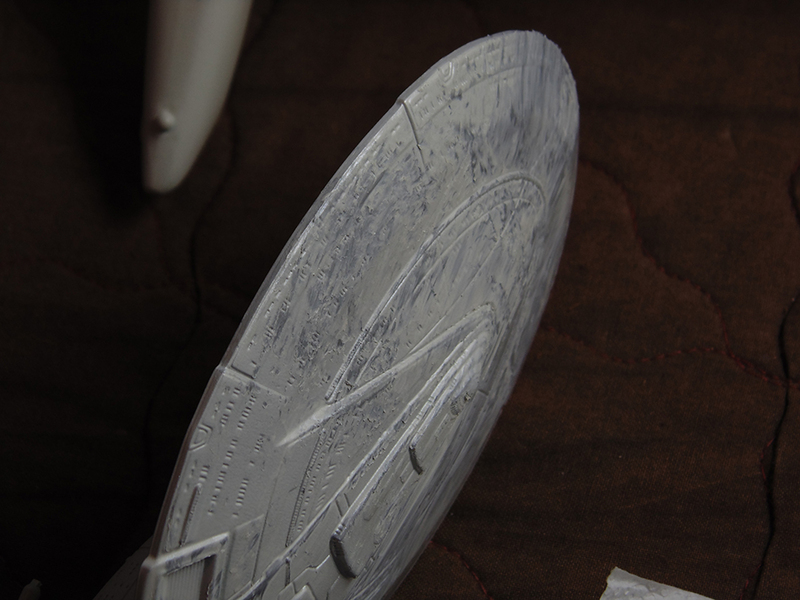 Mistake #1 - Let's cover it entirely with a single coat. It became a bit thick but I think I can live with it. Mistake #2 - Let's try to put it inside the drying closet without to take the other things hanging off of the way. It bumped something and got a big stain. Damn it. Mistake #3 - Let's try to resolve the mistake #2 result with some extra paint. It got thick and ugly like elephant skin. Oh no! I can NOT live with it! Mistake #4 - Let's try to remove it with some paper towel. Argh! Where did I put that rat poison? OK, as a prize for my universal stupidness I gained a ruined model, a stinky room, frustration and a terrible end of Sunday. Am I stupid or am I stupid? Stupid? You wanna talk stupid? Ok, let's talk about how you're not supposed to mix Lacquer paint with anything Enamel paint. I in my dotage managed to purchase several rattle cans of Lacquer- that looked extraordinarily alike to the Enamel cans. I managed to catch them, and set them aside in my garage to avoid using them on my models. So I'm ALL GOOD! And then- lo and behold, I discover that I'd somehow managed to get a Lacquer clear coat can and used it on my rather nifty new model that was all nicely painted wit enamale and needed a clearcoat so that I could apply decals. I'd gone through the entire supply of rattle cans prior and didn't find the one lone lacquer clearcoat, despite looking through them several times!!! I am kind of relief that I am not alone in this crazy boat! Is that lacquer you are trying to get off? The base color (chrome) is Enamel. Then I sprayed over that a pearl white that says "alquidic resin" on the can (have no idea what is this). I used caustic soda because it's what I usually use to strip enamel from plastic however this is the second time I notice that it's not too much effective over metallic paints as over flat ones. 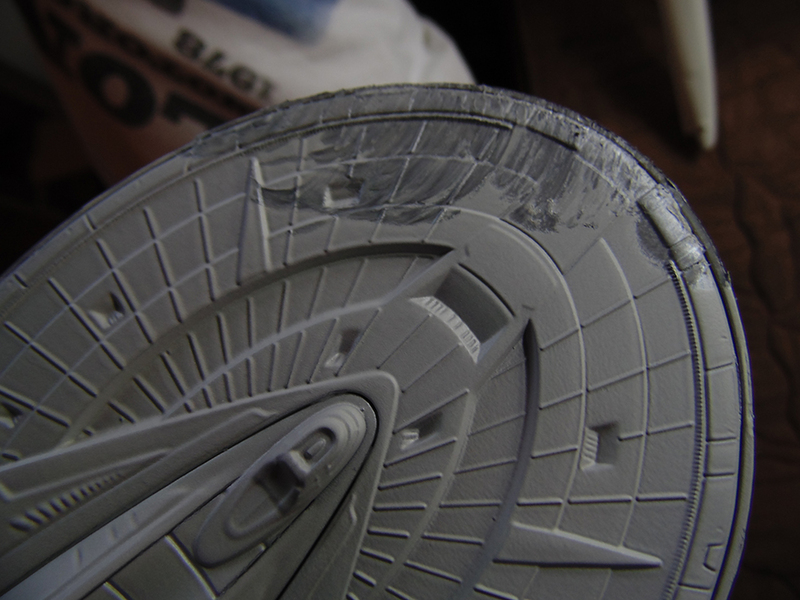 NCC1966 wrote: The base color (chrome) is Enamel. Then I sprayed over that a pearl white that says "alquidic resin" on the can (have no idea what is this). I used caustic soda because it's what I usually use to strip enamel from plastic however this is the second time I notice that it's not too much effective over metallic paints as over flat ones. This may sound harsh but I have to ask, why on earth would you spray a model with something like that? Something you have no familiarity with. Oh well, some lessons are learned the hard way. I believe it's not nasty at all. Seem that it is based in vegetable oil. Now why I used it... I wanted to paint the model in pearl white and that's what I had available in a rattle can (I simply don't consider paint ANYTHING in white with the airbrush). Unfortunately here in Brasil there is not available the same plethora of great chemicals as in Europe, Japan and USA so we have to go with what we have around and what we usually have around (hardware stores) is stuff for general use. But the paint itself is OK and it wouldn't have been a problem if I didn't had commit a sequence of mistakes (over spray, bumped the model, etc). 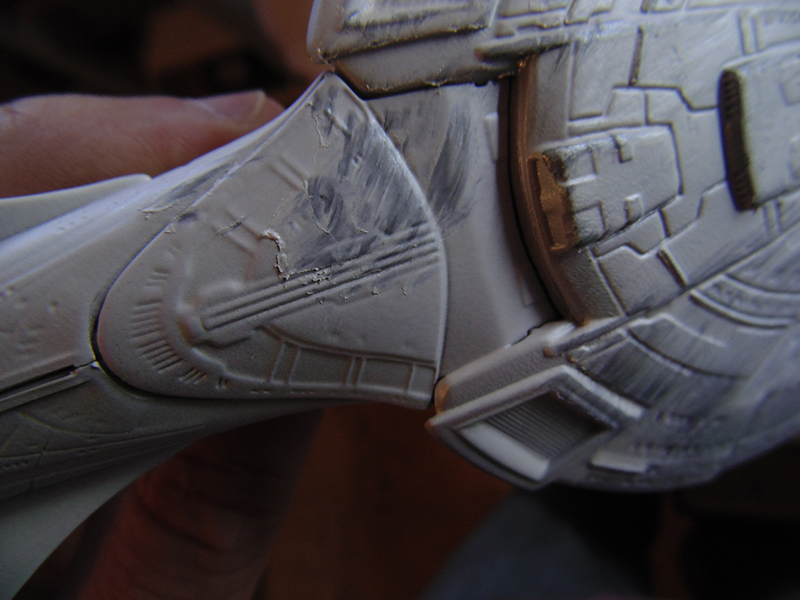 In fact I will repaint the model with the same paint as soon I manage to remove it. Fortunately I guess I won't need to remove it completely. I think that after the current bath of caustic soda and some extra scrubbing it will be good to go! PS: Have I mentioned that even after 40 years of modeling I still didn't learn to do the thing correctly??? This is the reason why my models never will be as stunning as yours!